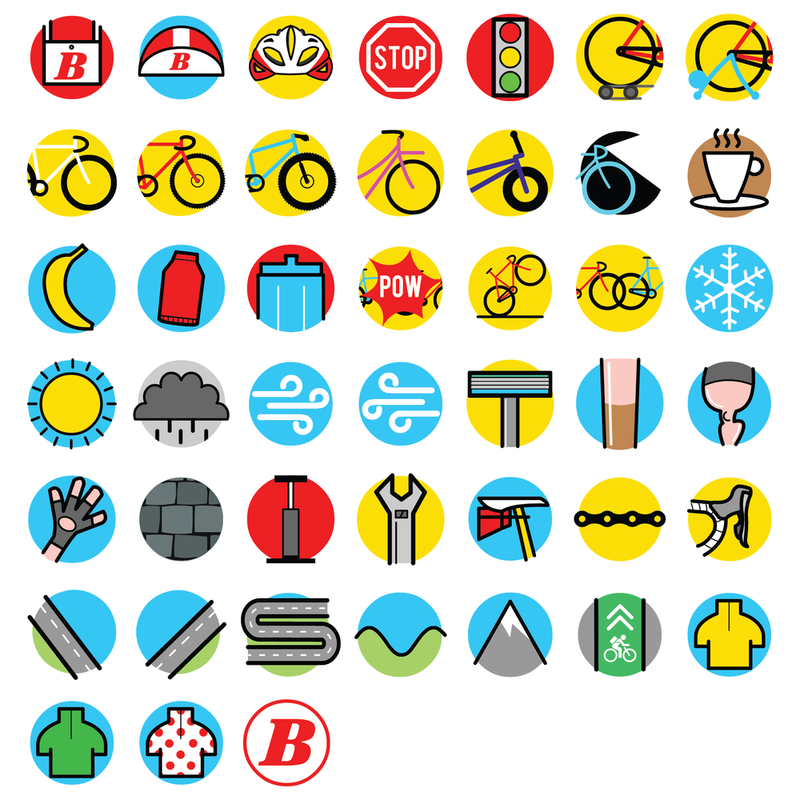 I worked with Bicycling Magazine on Cycling's first set of emoji. The whole process took about a year. Some technical hurdles and trying to work on getting as much creative information into the set as we could meant there was quite a bit of back and fourth between me and the guys at the magazine in Pennsylvania. The idea behind them is to try and tell the story of your ride in pictures, and by playing around with them you are able to tell quite a detailed story, the more you use them the more fun you can have. Get your own in the app by CLICKING HERE! 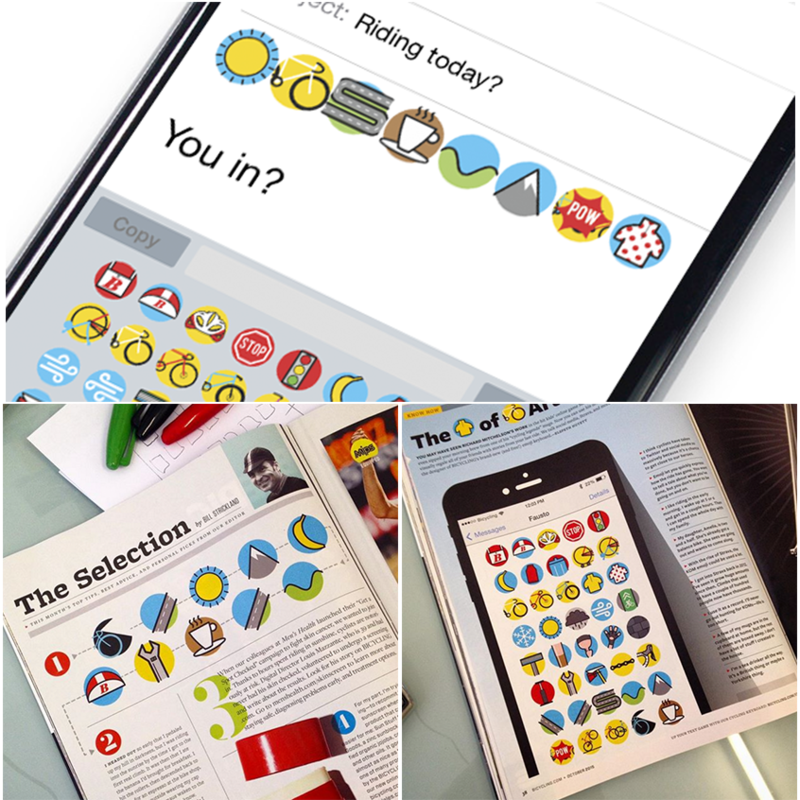 you can also read my interview which appeared in the October issue of Bicycling by CLICKING HERE! I hope you like it.